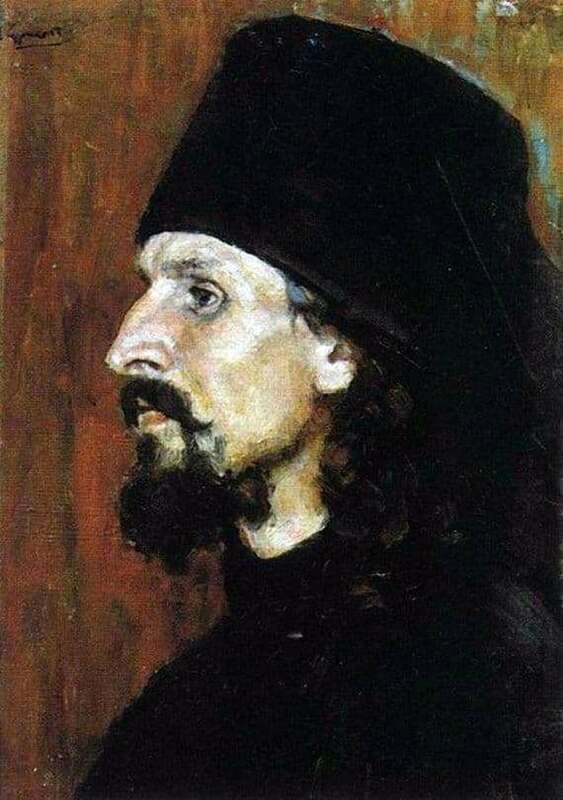 Surikov – Russian painter, originating from a Cossack poor family. About his great-grandfather they say that, being a man of unmeasured power, one day, in a thunderstorm, he pulled a heavy raft out of a river, which would otherwise have taken and would have broken. Surikov – famous for its historical canvases. “Boyary Morozov”, Suvorov’s Crossing the Alps “- he wrote with skill, with great attention to historical details, with a long search for prototypes for the main actors. “Monk” is one of them. It shows a profile of a middle-aged man in monastic dress. His hair is curled, his short beard is inaccurately trimmed with tufts, his mustache hangs down slightly, his gaze is straight, open and studying. Like all portraits, this gives rise to the sensation of the darkness of the ages. As if the viewer looking at the picture, looks into the monastic cell of mossy ancient years, in which the monk sits at the annals. His face illuminates the light from the window and at the same time – the inner light. He believes deeply, sincerely, but at the same time he is not stupid – just his faith is unshakeable, like the earth on which his cell stands, as high as the sky he looks at in the morning. The portrait fit a whole life, transmitted in one person – a hard life, close to the ground, and illuminated from the inside by the desire for something more than just the harvest of potatoes or apple trees. Life striking, tolerated with humility, life demanding and consisting of self-denial. Life chosen voluntarily.